My Last Day on the Seas! 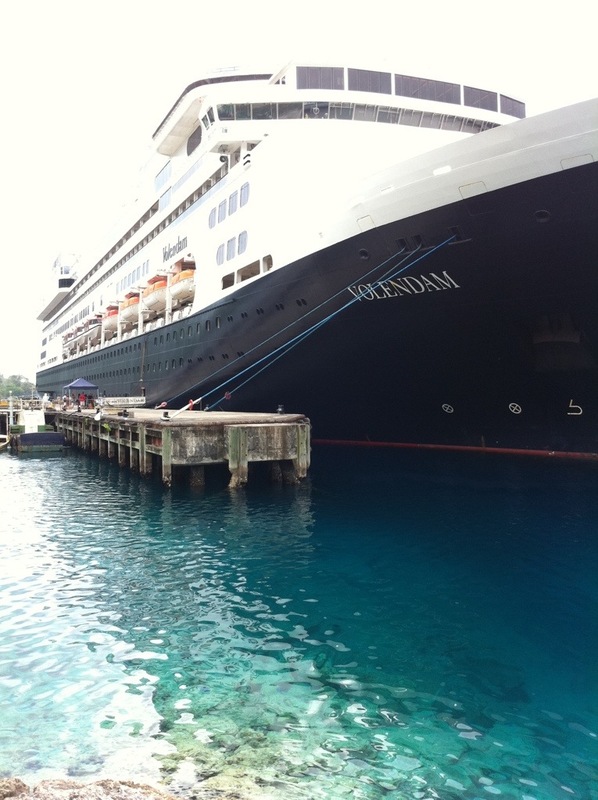 At sea…my last day aboard the m/s Volendam as my 21 day journey comes to an end and I will return to life on land! In the early 20th Century, travel by ocean liner was a privilege of the wealthy. It was a luxurious experience in which the rich were catered to with elegant and elaborate parties hosted by a regal ship’s captain. Obviously, times have changed…today this type of travel is available to anyone who has the luxury of time! Most people today, though, want the quickest nonstop in getting to their destination; most travelers don’t have the spare time for a long and leisurely cross ocean voyage! 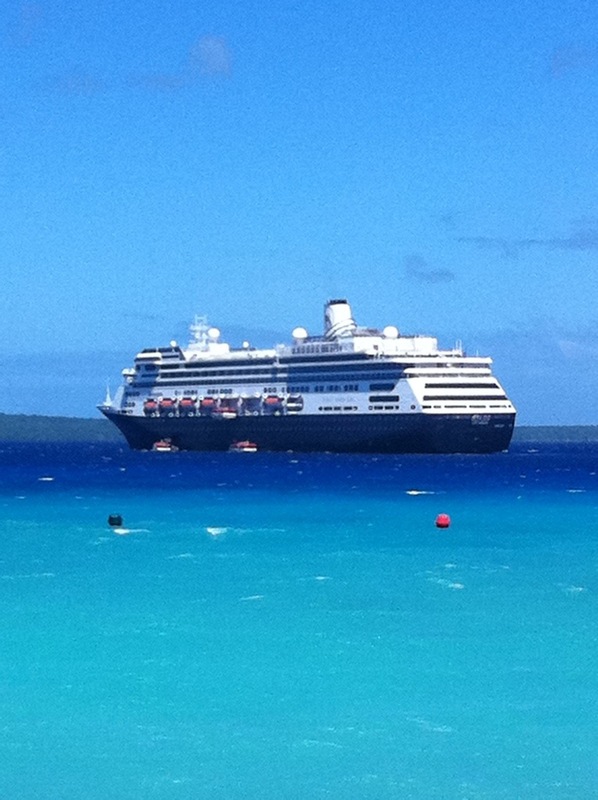 But this voyage cost much less than a business class transpacific flight but so much richer in experiences! I have cruised a lot as part of my many adventures, yet I think this voyage will be remain a highlight. This medium sized ship doesn’t have all the bells and whistles of some of the newest mega ships, but it has a “heart” and “soul” to it that is hard to put my finger on! It’s size neither feels too small and confining, nor does it feel overwhelming and overrun. 1. Sail-away on the bow or very front of the ship. It’s like my own special “Titanic” moment! 2. A mid-day nap on one of the 4 hammocks on the secluded Oasis area of the top deck! 3. A decadent formal dinner served in my cabin as I lounge in my robe with a good film in the DVD player! 4. Relaxing in a recliner in the traditional New York Times sponsored library studying a travel guide of our next port! 5. A deep night’s sleep cradled to the gentle ocean roll of the ship! 6. Floating in the salt water “seaview pool” at the ship’s aft! The high salt content in this pool allows you to easily float! 7. A long session of cardio in the top deck fitness center over looking the open seas and witnessing dolphins playing alongside the ship! 8. An early morning one mile walk on the grand outdoor promenade, watching the ship pull into the day’s port! 9. A late evening film in the movie theatre indulging in delicious popcorn! 10. People watching: seeing my fellow passengers dress up for formal night, witness small children so excited to play dress up with mom & dad, and observing the dance floor come alive with older couples who’ve obviously been ballroom dancing together for many years! « Older Post A Walk that Matters! » Newer Post Almost Down Under!